SOUTHWEST LOUISIANA (KPLC) - A local organization is making dreams come true for children with life threatening, terminal, or extenuating conditions. The nonprofit, Give A Wish, started in Southwest Louisiana last year and grants wishes to children from Southeast Texas and Southwest Louisiana. Nine-year-old Izzy LeLeux was granted a wish earlier this year. 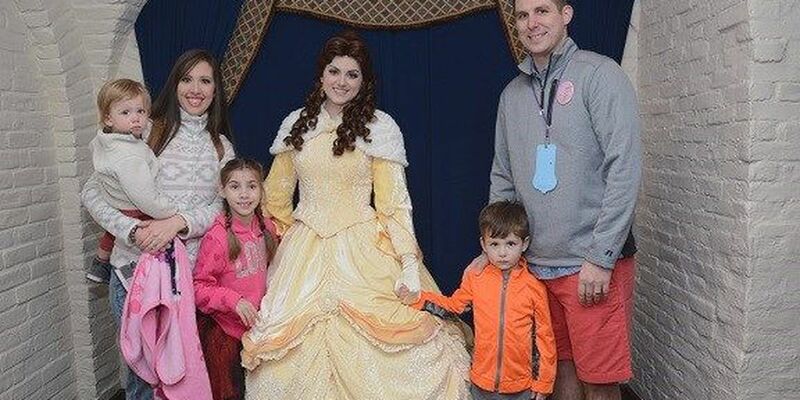 Her wish was to meet all of her favorite Disney princesses in Disney World. "We saw Ariel, Snow White," said LeLeux. It was the trip of a lifetime for this little girl and her family. LeLeux was born with Cerebral Palsy and has epilepsy. Give A Wish volunteers have been granting wishes with Louisiana State Troopers for 16 years, but solely as a foundation for about a year. "Not all of the children make it so whenever you give that wish to that family, it gives them the time and memories," said Give A Wish volunteer Michelle Clack. The organization is run by volunteers and funded by private donations and fundraising events. 100 percent of proceeds go towards granting wishes. "My sister passed away at 16 from cancer. She got a wish through Make A Wish and it's just been a passion for me to help pay it forward," said Clack. As a child with weekly therapy visits and yearly visits to the neurologists and orthopedic surgeon, it's kids like Izzy LeLeux who can get overlooked, that Give A Wish chooses to recognize. "It just gives them something else; out of the doctors visits, hospital visits, not normal lives that most of these children have to live and it just gives them a reality break," said LeLeux's mother, Becca LeLeux. The average wish costs about $6,000. Currently, three local children are on the waiting list to receive a wish. The next fundraiser, Night with an Idol, is being held Saturday, April 16 at The Golden Nugget. The event features country artist and American Idol alum Michael Sarver. Tickets are $50. The event also includes cocktails, hors d'oeuvres, a silent auction, and photo booth. You can purchase tickets HERE.